SOLID WOODOur frames are all solid wood. We never use cheap alternatives such as plastic. 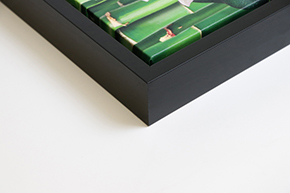 CUSTOM FITWe custom cut each and everyone of our frames to fit your canvas perfectly. 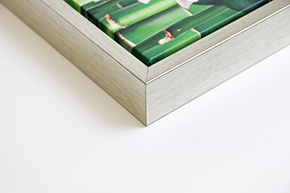 COLOR OPTIONSWe have different frame colors to fit your decorating needs. 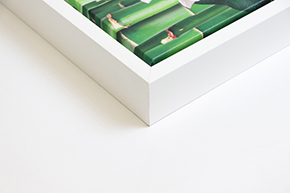 We will soon be Lumaprints, so feel free to come check out our new Floating Frame Product Page, which will also include pricing information for our Framed Canvas. Questions? We're here for you! Please feel free to reach out to us if you need any help. E-mail us at contact@canvasmemoirspro.com or use the contact form. We will respond the same business day.